The next time you stop and admire the classy Doors, Windows, Partitions, Curtain Walls, Structural Glazing, Domes, Screens, Louvres, Kitchen Cabinets in homes and offices, you could go a step further and discover the name behind it all - The Aluminium Division of Al Turki Enterprises. 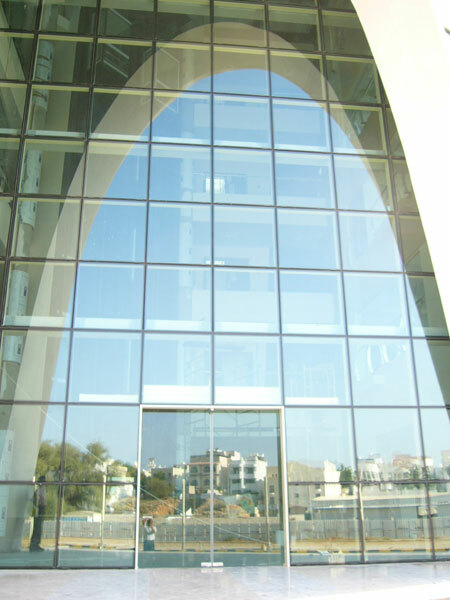 Over the years, we have installed Aluminium works in some of the most prestigious buildings and important landmarks in Oman such as Central Bank of Oman, PDO Headquarters MAF, ROP Custom Headquarters, Gold Souq in Ruwi, Mercedes showroom in Qurum, SAF Beach Club in Azaiba, Hotel Development (The Chedi, Muscat) in Al Ghubra, Royal Flight Al Maymoon Project - Phase-II, Commercial / Residential Buildings in Al Khuwair, Ocean Beach Development - Phase-III, Residential Blocks in Nimr and Bahja, Atrium building in Qurum, Government Offices & Guards Accommodation in Qurum, Villa for Dharamsey Nancy in Qurum, Al Barakah Project in Seeb, RGO Barracks & Battery Shop of Royal Flight and the Extension of the Parade Ground in Seeb. We have several other prestigious projects coming up such as Cultural Centre Complex at Sultan Qaboos University, The Royal Office in Muscat, The Wave & The Royal Cavalry Building in Seeb. As one of the in-house divisions of Al Turki Enterprises, our Aluminium Division has strong supportive infrastructure by means of well-qualified and highly experienced professionals. Our staff and specialists provide customers with complete technical back-up and support. Our Aluminium Division is supported by in-house facilities like M & E Division, Concrete Batching Plant, Steel Fabrication Division, Carpentry Division, GRC/GRP/GRG Division, Stone/Marble Division, A.C. Division, Transport Division & Workshop Division. At Al Turki Aluminium, we follow rigorous guidelines in Quality Control to give our customers a range of products of international standards of quality. Using state-of-the-art technology, we design and fabricate the best quality product. At each and every stage, our experienced and skilled operators carefully monitor the work to eliminate imperfections producing a consistently high quality end product. We give prime importance to quality right from sourcing the finest raw materials to giving the touch of class to the finished products by our team of skilled craftsmen.